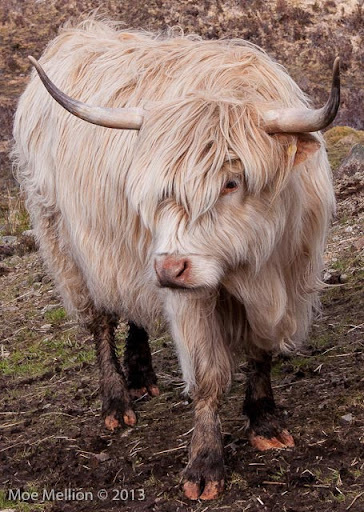 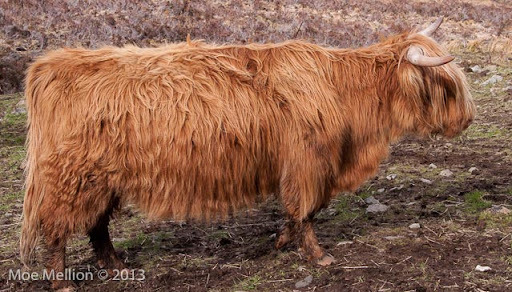 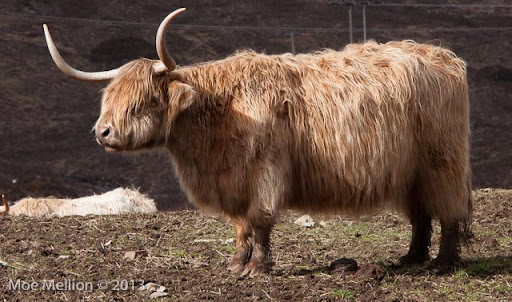 According to Wikipedia, "Highland cattle (Scottish Gaelic: Bò Ghàidhealach) (Scots: kyloe) are a Scottish breed of cattle with long horns and long wavy coats which are coloured black, brindled, red, yellow or dun. 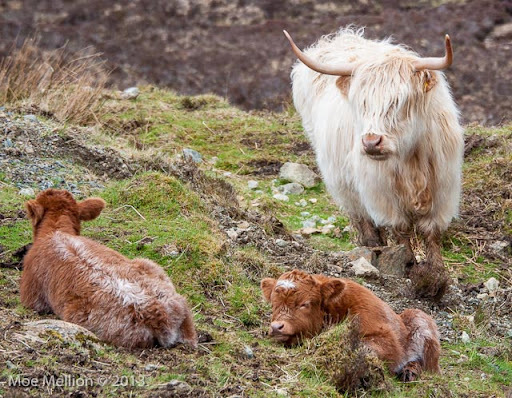 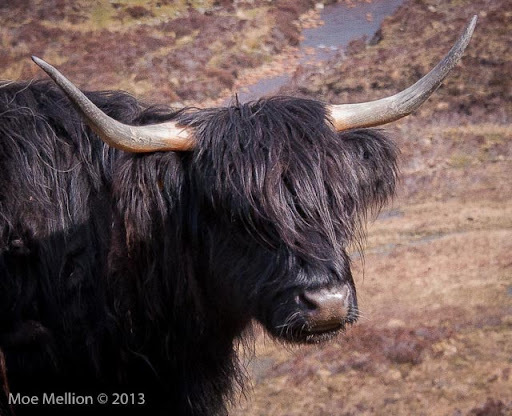 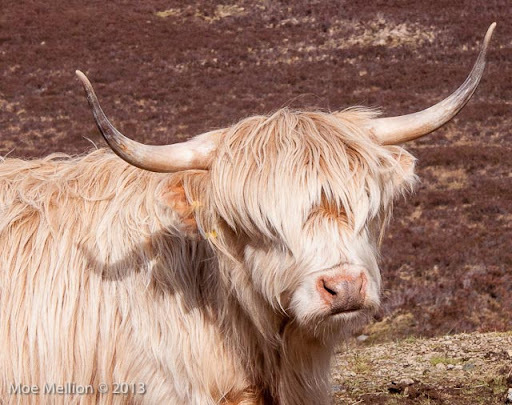 These cattle were photographed at a small parking area along a road in the Scottish Highlands. 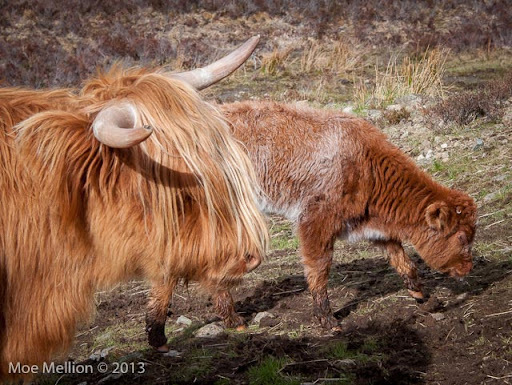 We were surprised by the variety of color in a single small herd. 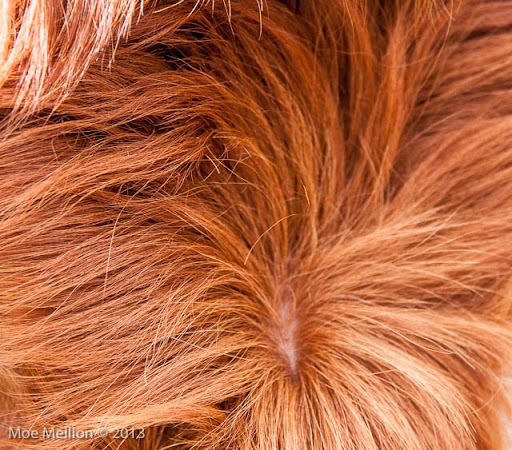 It's easy to wonder if there are eyes behind the hair, but here is proof of at least one. 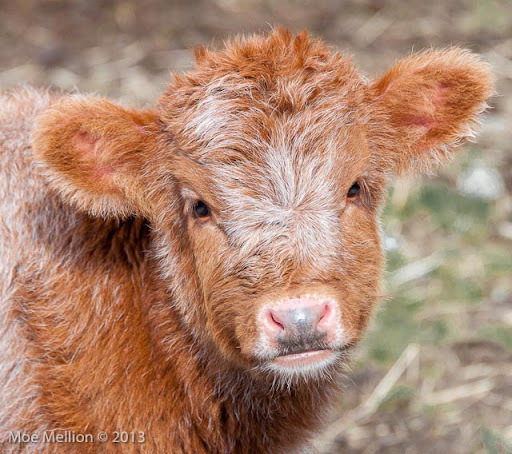 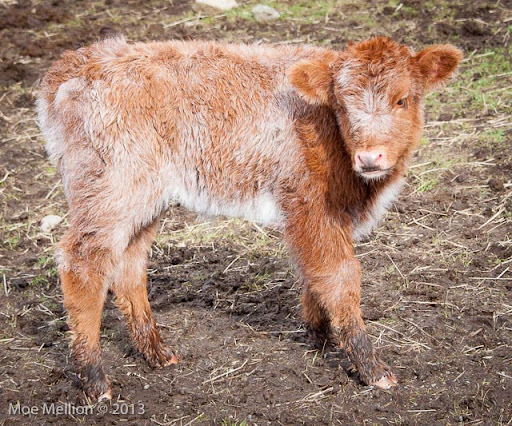 Many of the calves have multicolored coats. 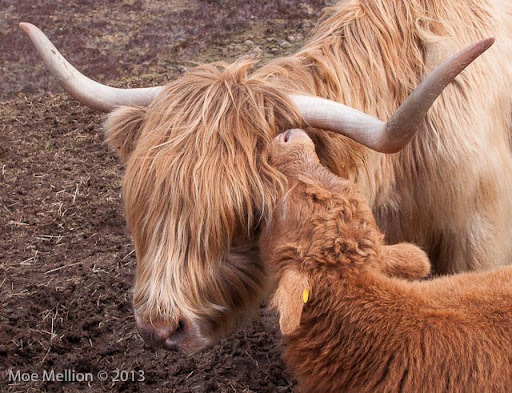 It's fun to watch the cows with their calves. 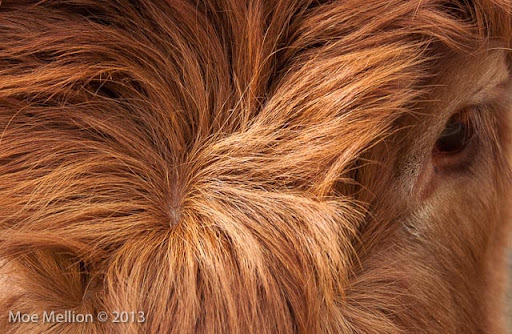 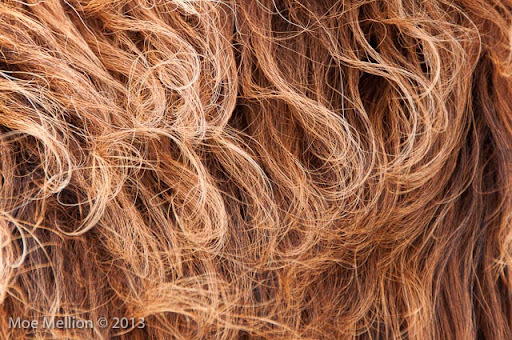 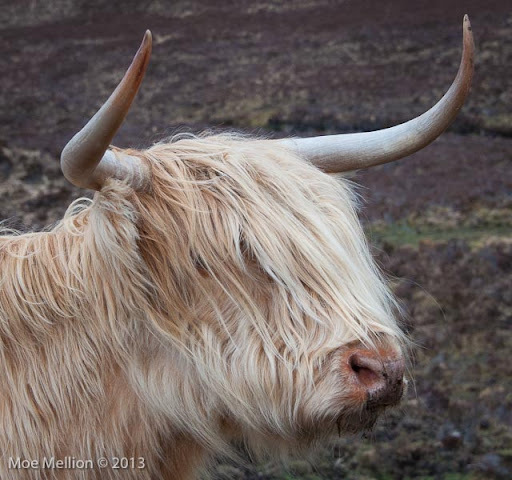 We end with a closeup of a rich mane of one cow and the forehead of another.